In an effort to increase China’s culture-focused soft power and to secure an international environment conducive to its development and to generate goodwill abroad alongside its economic rise, Confucius Institutes were established as part of China’s ‘going out’ strategy. With 500 Confucius Institutes and 1,000 Confucius Classrooms on campuses around the world today, both have become a global phenomenon. But ever since the first Confucius Institute was established in 2004, both the academic world and the media have questioned their intent, objectives, and practices. Many thus believe that because of all the controversy which leads to a lack of credibility, the organisation has failed to play a successful role in China’s public diplomacy. What has attracted far less attention but plays the same role is the China Cultural Centre under the Chinese Ministry of Culture. 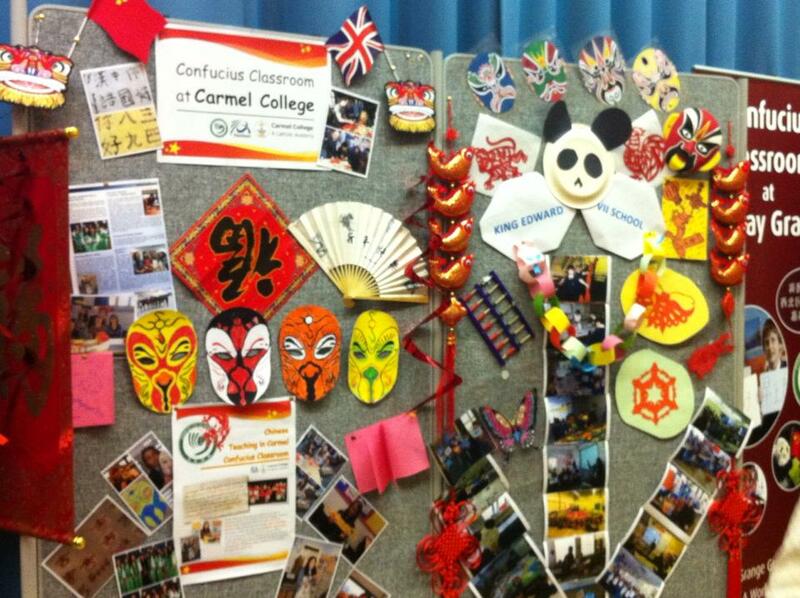 The Cultural Centre’s activities around the world are not very different from those of the Confucius Institute. Affiliated to the Ministry of Culture, they also get top leaders’ support. Why has the Cultural Centre received much less resistance? Firstly the Cultural Centre, in sharp contract with the Confucius Institute, has adopted a gradual approach in setting up operations around the world. Africa hosts 5 centres in Mauritius, Benin, Cairo, Nigeria and Tanzania. The Mauritius and Benin centres were established in 1988 and remained the only two centres until 2002. Today, Europe hosts 7 centres with locations in Paris, Malta, Berlin, Moscow, Madrid Copenhagen and Brussels. 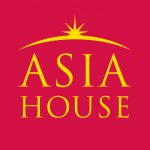 In addition, centres in Asia are located in Seoul, Tokyo, Ulaanbaatar, Bangkok, Laos, Sri Lanka, Pakistan, Nepal and Singapore. With 25 established around the world, including other centres in Mexico, Sidney, New Zealand and Fiji there is still less than one new Chinese Cultural Centre established each year on average. More importantly, what differentiates a Cultural Centre from a Confucius Institute is the objectives, target beneficiaries and the role it plays in the activities organized and the choice of hosting countries. Unlike the ambitious Confucius Institute, which aims to not only ‘contribute to the development of multiculturalism and the building of a harmonious world’, but also ‘support educational institutions at different levels with the partner in the hosting countries’, the Cultural Centre sets out to ‘improve mutual understanding and friendship’ between people. Because the Confucius Institute works with partners in the education sector, some have expressed the fear of ceding control of their curriculum, academic freedom and intellectual integrity. In 2013, the Canadian Association of University Teachers (CAUT) called on colleges and universities in Canada who host Confucius Institutes to shut them down. In June 2014, the American Association of University Professors (AAUP) made the same call to US universities. Chinese Cultural Centres have no fixed partners in the hosting countries. An important element that differentiates the Cultural Centre from the Confucius Institute is the Centre’s efforts in collaboration with local civil societies and organisations which allow them to have a better understanding of the local market. This allows them to have access to the local resources on the one hand and to be seen as being less intrusive and interfering as Confucius Institutes. At home, the Cultural Centre takes advantage of joint efforts between the Ministry of Culture and provincial level cultural bureaus so that while sharing benefits, they also share responsibilities. Another key element that differentiates the two organisations is the use of both official and informal domestic resources. They work closely with both state-owned organizations and private enterprises. They tap into the non-governmental organisations in China such as performing groups and martial arts practitioners. They have a wide range of social contacts including links with overseas Chinese diaspora. By marketing cultural products such as Chinese New Year celebrations involving performers and artists from all over China, the Cultural Centre have increased the social impact of Chinese culture around the world. The second China-Africa Cultural Industry Roundtable Conference (CACIRC) held in May 2014 in Beijing is an example of how the Ministry of Culture, together with the Ministry of Commerce, built an exchange platform for Chinese enterprises in the Chinese cultural industry, both state-owned and private, to meet, exchange ideas, explore collaboration opportunities, and negotiate for businesses with officials and experts from the cultural sectors of 21 Francophone countries in Africa. Of the 150 attendees, many were from cultural bureaus at the provincial level, state-owned enterprises, and non-government organisations including publishers and monks from the Shaolin Temple, known for their martial arts performances. America is the most favoured destination for Confucius Institutes (157) and for Confucius classrooms (544). Europe comes second with 169 Institutes and 257 Classrooms. The Chinese Cultural Centre’s favoured destinations are Asia with 9 and Europe with 7. Africa ranks third with 5 Centres. America currently has only one Cultural Centre. China has been promoting positive images around the world to win hearts and minds. It taps into its rich culture, a soft power resource, in order to produce attraction. Joseph Nye argues that cultural diplomacy is one of the public diplomacy instruments that governments use to mobilize the resources to produce attraction by communicating with the public rather than merely the governments of other countries. At the same time, post-modern societies outside China are generally skeptical of authority, and governments are often mistrusted. The experience of the Cultural Centres tells us that it works better if the government stays in the background when they work with private actors. The approach of the Confucius Institutes, in terms of the way they are set up on campuses and the speed they proliferate has caused much concern. In contrast, Cultural Centres have sought to shape the foreign public’s long-term attitudes and preferences in a more acceptable way to the hosting countries by working with both government and non-government organizations in both China and the hosting countries. Although it is affiliated with China’s Ministry of Culture, the role of the government is less obvious in the activities they organize. Rather the government has played a facilitating role. Cultural Centres, or any other instruments of public diplomacy, cannot translate cultural resources into the soft power of attraction if they suffer from public distrust. After all, the effectiveness of public diplomacy is measured by minds changed rather than cash spent. However, although these centres have so far experienced little criticism from the international community there are challenges for furthering their role in China’s public diplomacy. Firstly, their dependence on the Chinese government for financial support means activities are not constant. The frequency of cultural activities held in different hosting countries varies greatly. Activities increased in response to Hu Jintao’s government report in Nov. 2012, when he called for building a strong cultural nation. Activities also tend to be more frequent when a centre is first established. The second challenge comes from a lack of reciprocity. Further research needs to be undertaken on other continents, but interviews with people working for the Chinese Cultural Centre in Benin throws light on the cultural relationship between China and the hosting countries in developing countries. For instance, an initiative was made to show Beninese television programmes in China. But this project never took off. The study also reveals while Beninese people were becoming more familiar with Chinese culture, the Chinese had not developed the same familiarity with their host culture. Dr Xiaoling Zhang’s research interests span the transformation of media, culture and society in China. Taking interdisciplinary approaches, combining fieldwork, documentary studies and discourse analysis, she has published widely on the shifting cultural and media landscapes in China, especially the new media technologies. Her edited book together with Prof Yongnian Zheng, titled China’s Information and Communications Technology Revolution: Social changes and state responses” by Routledge examines China’s ICT revolution, exploring the social, cultural and political implications of China’s transition to a more information-rich and communication-intensive society. Image credit: CC by UCL Institute of Education (IOE)/Flickr.